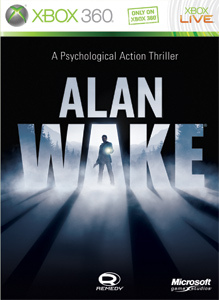 Alan Wake: The Writer DLC out now! Alan Wake's first downloadable add-on the Signal was a great extra hour of content, and now we can experience the second, titled Alan Wake: The Writer. Will Alan ever get a break? Find out with this download! "Our second downloadable content pack, "The Writer," finds Wake in strange circumstances; now fully aware of the thing that opposes him, he must survive one increasingly nightmarish situation after another."